You are buying the BD U-100 Syringe with Micro-Fine Needle (28G, 100ct x 4, model #329461), manufactured by BD. The needle is permanently attached, and has a regular bevel and regular wall. 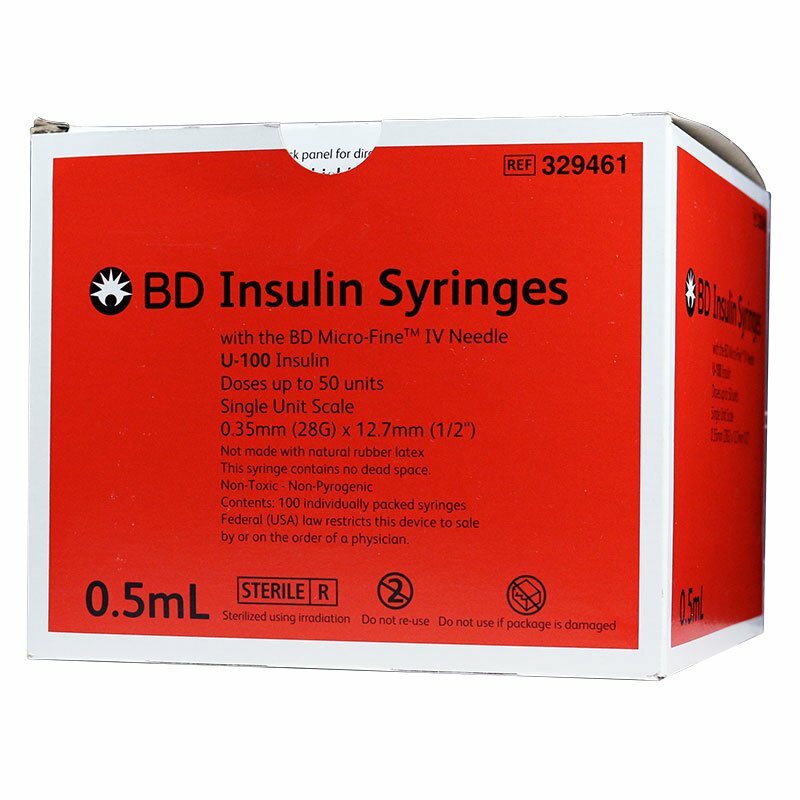 You are buying the BD U 100 Insulin Syringe Micro Fine 28G 100 per box Case of 4, model 329461, manufactured by BD. BD is a leading manufacturer of needles, syringes, and medical products designed for both professional and personal use. At ADW Diabetes, we offer the complete product line by BD with great savings and excellent service. 1/2 mL BD Lo-Dose U-100 insulin syringe with 28 G x 1/2 in. BD Micro-Fine IV permanently attached needle, regular bevel, regular wall. Blister pack.